Being in any kind of accident can be life-changing, but motorcyclists perhaps have the greatest potential to suffer catastrophic harm, for a multitude of reasons. If you are in a motorcycle accident, it goes without saying that you may be injured, but there are factors unique to both motorcycle accidents and to Florida itself that may increase your likelihood of physical harm. Unlike automobile drivers, motorcyclists start somewhat behind the proverbial eight-ball in that they do not have tons of metal protecting them, should they get into a crash. Motorcyclists are on vehicles that are far smaller and lighter, and it is much more common for motorcyclists to simply not be seen in traffic. This is somewhat compounded by the fact that lane splitting – the act of sharing a lane with another vehicle – is not legal in Florida, yet many cyclists do it anyway. There is also evidence to suggest that there is bias against motorcyclists, which can affect settlement offers and outcomes at trial. Many potential jurors think of motorcyclists as prone to speeding and reckless behavior, and as such, may be less prone to award amounts they would to an automobile driver. It takes a knowledgeable attorney to be able to show a jury why these perceptions are not necessarily accurate. Another notable issue a motorcyclist should keep in mind is that Florida, while boasting a climate suited for year-round riding, has had increasing accident and fatality rates for most of the last decade. The most recent available data shows a 3 percent increase in motorcycle accidents, and a 28 percent jump in motorcycle accident fatalities between 2014 and 2015, with similar increases appearing in years past. While the existence of the statistics themselves does not imply the state is somehow dangerous, it does suggest that there are more hazards for cyclists than there may be in other states. Florida is also one of the states that does not require all motorcyclists to wear a helmet. One may go without if they are over the age of 21, and can present relevant medical insurance. 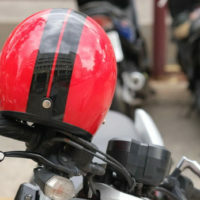 While it is within the state’s prerogative to legislate in this way, scientific evidence does show that helmets do prevent injuries, and wearing one may very well be the difference between a minor injury and a severe one. However, it is important to note that failure to wear a helmet is not evidence of negligence or other misconduct. Motorcyclists tend to be devoted to riding, but sometimes, it can work out poorly, especially if a driver is reckless. If you have been the victim of an accident, consulting an Orlando motorcycle accident attorney can help you determine where to go in terms of procedure. The dedicated attorneys at the Hornsby Law Group are happy to listen to your case and suggest how it should best be handled. Call us today to set up an appointment.